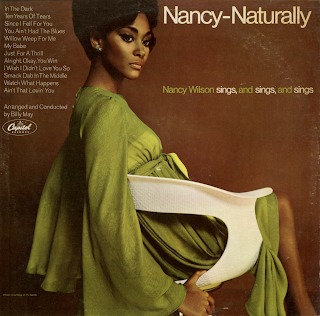 From Billboard - January 7, 1967: It's Nancy Wilson at her swingingest, bluesiest best! Destined to be a blockbuster sales item, this package is loaded with electrified performances such as heard in the pulsating "Ten Years Of Tears." With strong support of Billy May arrangements, this Dave Cavanaugh production is one of the best in the long string of Wilson hits. Top interpretations include "My Babe" and "Alright, Okay, You Win." Her exceptional reading of "Willow Weep For Me" is second to none.